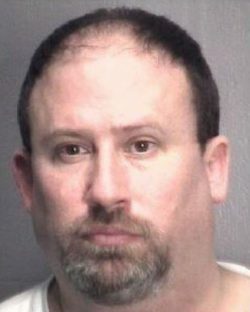 A New Hanover County Public Schools teacher has been charged with multiple counts of indecent liberties with a minor as well as sexual exploitation of a minor. Michael Kelly, age 48, had been charged by law enforcement with third-degree sexual exploitation of a minor, and three counts of indecent liberties with a student. Kelly is being held on a $100,000 bond. The charges are a result of a joint operation by the FBI and the New Hanover County Sheriff Department. According to the arrest warrant, Kelly allegedly possessed images of a 15-year-old victim. The warrant alleges the incidents happened between August 9, 2017, and February 6, 2018. Kelly is currently suspending “with pay” according to New Hanover County Public School officials. He teaches chemistry at Isaac Bear Early College High School and was named a Teacher of Year in 2016. Kelly has been employed in the New Hanover district since 1992. “Once more information becomes available, his employment status will be reconsidered,” wrote the school’s spokeswoman Valita Quattlebaum in a press release. This entry was posted in CRIME, EDUCATION, LL1885, Quiet Epidemic and tagged Michael Kelly, New Hanover County Schools, Quiet Epidemic. Bookmark the permalink.